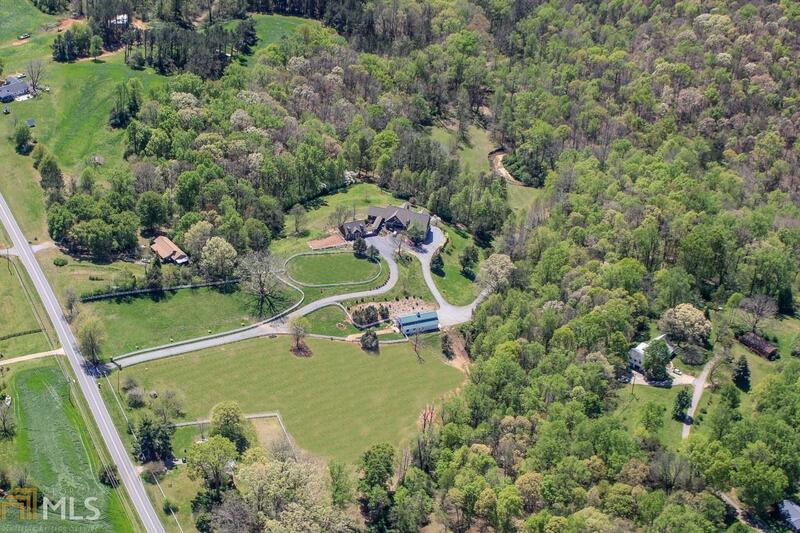 Situated on 16+ acres in Forsyth Country, Paradise Creek is an extraordinary and unique property with picturesque views from every room of the main estate. Its perfect atmosphere for country seclusion is met with its desirable centrality between GA 400 and Interstate 985. The estate home features 5 bedrooms, 5.5 bathrooms, a 7-car garage, carertaker apartment and a covered heated pool. The property also boasts a 5-stall barn, riding ring and log cabin. Enjoy riding and hiking trails that wind through the rolling hills and peaceful woods of the property. Near the rear boundary of Paradise Creek, a cascading river meets waterfalls to create the scenic environment in which the property was named after. Directions: From Atlanta: 400n To Exit 17, Turn Right. Travel Approx 7mi To Right On Waldrip Rd To Paradise Creek On The Right. From Gainesville: 53w Approx 10mi To Left On Keith Bridge Rd/Hwy 306. Approx 1/2mi To Left On Waldrip Rd To Paradise Creek On The Right.